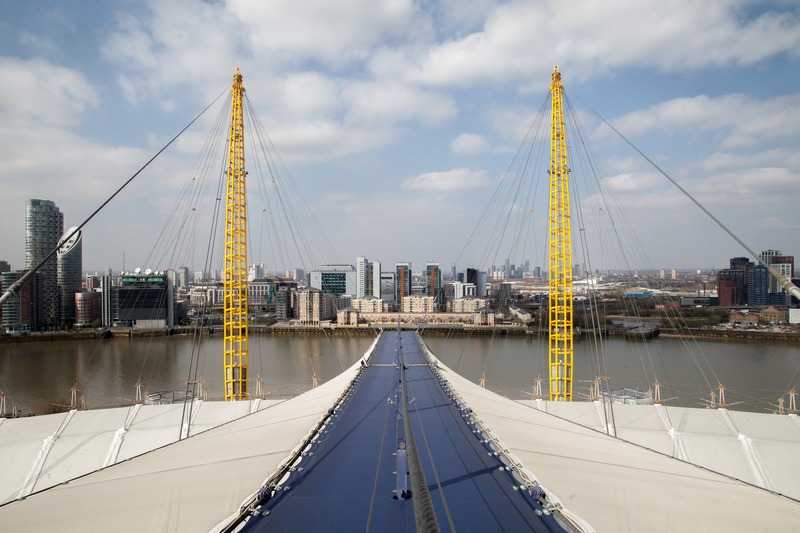 For a totally unique day out in London that combines adventure, breath-taking views and great food, look no further than this Up at The O2 experience with a 2-course meal at All Bar One! 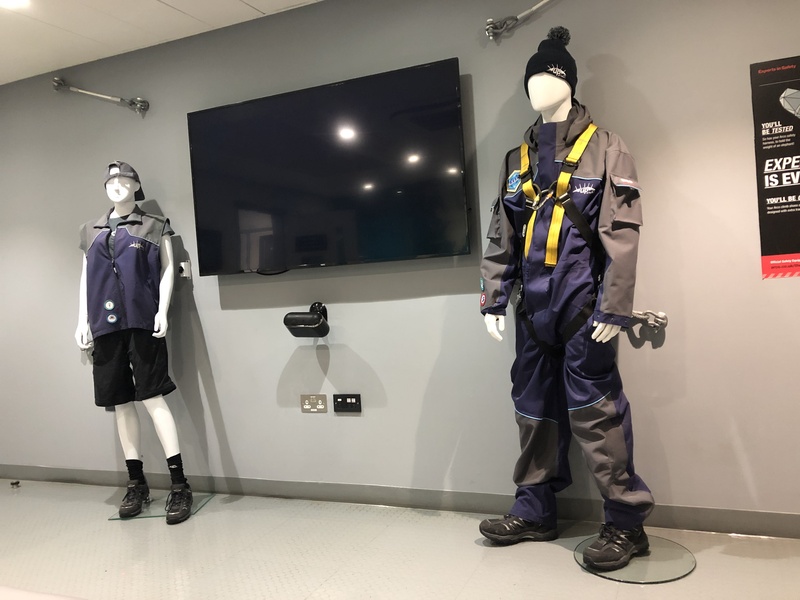 The experience begins on arrival at The O2, where participants will get kitted up in climbing suits and climb shoes, before receiving a safety briefing from the instructor. Next, the climb to the summit begins! 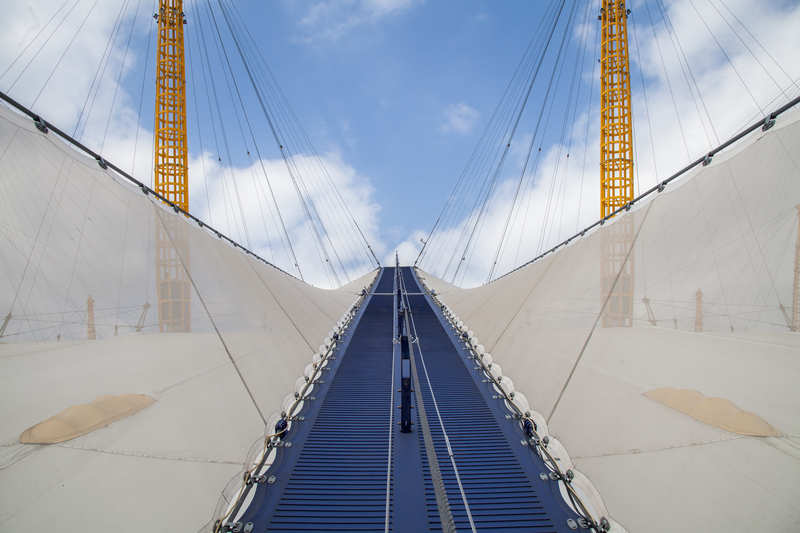 The walkway is given a bouncy feel to replicate The O2 tent beneath, and it's 52m tall at the highest point, providing incredible panoramic views of London all around. The climb can be booked either during the day or at sunset, for a range of different cityscapes. The whole experience takes around 90 minutes to complete, where you'll end on solid ground on the other side of the arena. You’ll feel on top of the world with this adrenaline-fuelled climb. Once back down on Earth, enjoy a delicious 2-course meal at All Bar One, and ruminate on the incredible experience you just had! 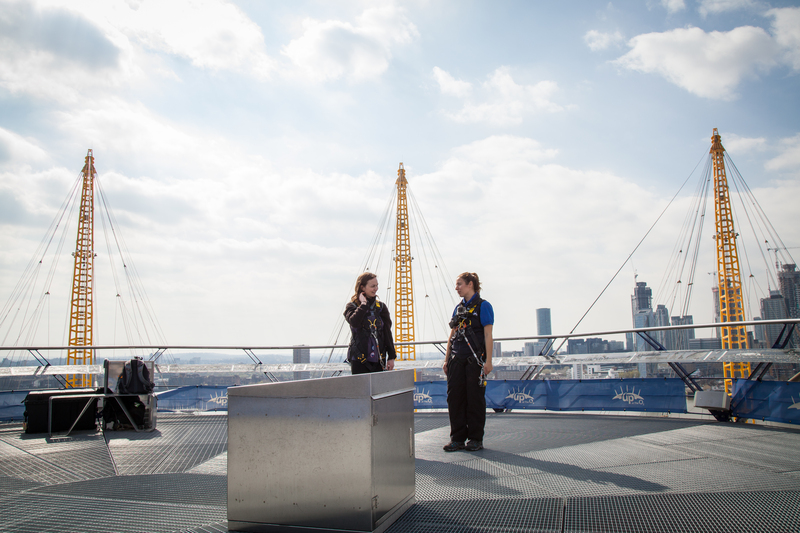 The Up at The O2 Climbing Experience with a 2-Course Meal makes a fantastic family day out in London, or a unique experience gift for adventurous couples. 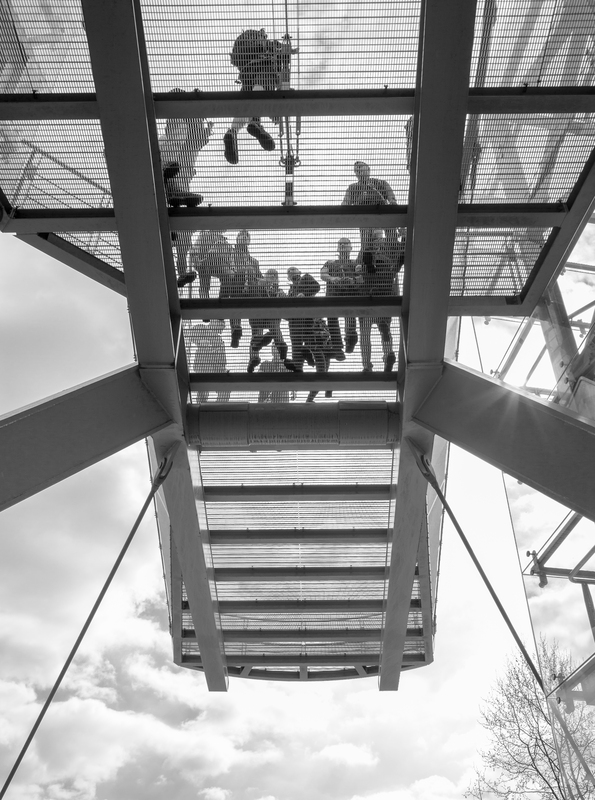 Tick off a bucket list item this year and try a London activity like no other! This voucher is valid any time, subject to availability. Please note, the last sitting at All Bar One for dining is at 21:30. This experience lasts 90 minutes (1.5 hours) including safety briefing and kit-up. You can expect to spend about 2.5 hours at the venue. Please arrive 15 minutes prior to your booked time. Please allow extra time for your meal. 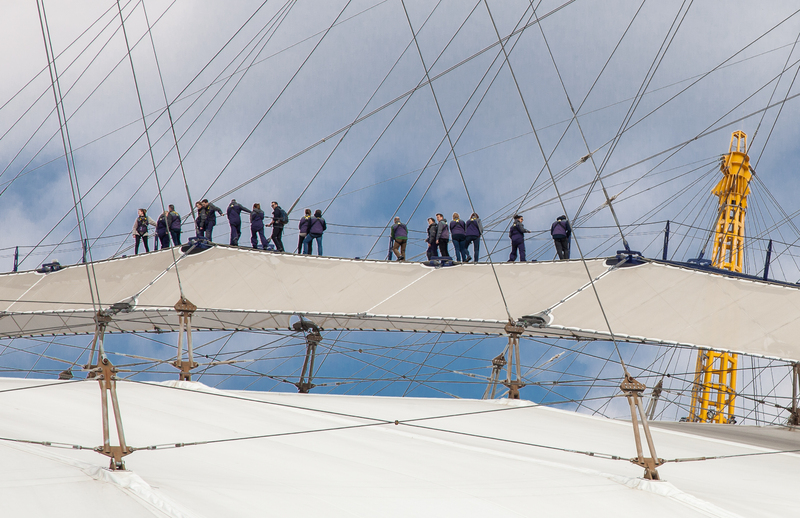 Participants: The Up at The O2 Climbing Experience with 2 Course Meal for 2 is for 2 participants. The maximum group size for this experience is 16. I was apprehensive about doing this at first as I'm not a big fan of heights, but I'm so glad we went ahead as it turned out to be a fantastic experience, and not scary at all. We filled in some paperwork at the front desk before we met our instructor, Natalie, who gave us a short safety briefing and showed us how to wear our safety gear. This consisted of a gilet and safety harness for our climbing equipment to be clipped onto. Natalie took us up the stairs to the first platform, where a photographer was waiting to take our picture. Then she demonstrated how to use our climbing equipment, which is a little contraption that slides onto a pole running over the top of the O2 to help you keep your balance. The climbing surface was soft and spongey, and we were wearing special climb shoes to help us grip. We walked up the first incline and got to the second viewing platform which I guess you'd call the 'summit'. Here Natalie pointed out all the interesting landmarks in the surrounding areas, and gave us a bit of background history on each one. The climb back down the other side is slightly steeper, so Natalie showed us how to walk forwards with the knees bent, or backwards. When we reached the end of our climb, we felt full of a sense of accomplishment and we were definitely ready for our meal. I had a vegan burger with chips and a vegan chocolate pudding for dessert. Very impressed by the selection at All Bar One. Thanks for having us! 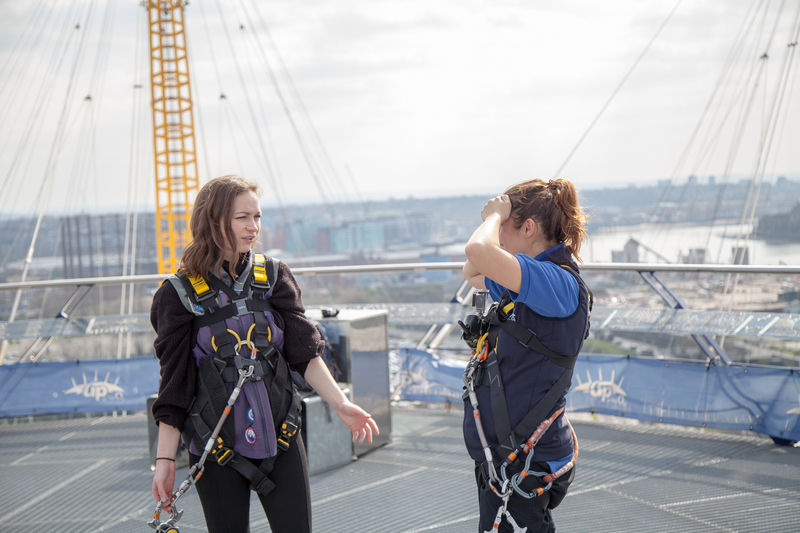 A friend and myself decided to face our fear of heights and take on the Up at the O2 Climbing Experience! Upon arriving we received a friendly welcome from the staff at the front desk. We were given a form each to fill in and were showed to a separate room where we would receive our safety briefing after a short video. Once kitted out in our gilet and harnesses we then made our way up to the first viewing platform where we were met by a photographer. At this point you can take some personal photos using your camera phone, however you cannot carry your phone whilst climbing. The gilets have zips and you are instructed to keep it in there all the time you are not on the viewing platforms! The surface was soft and reminded me of being on a bouncy castle. You are also connected with a device that runs along the cable keeping you secure. Once at the top you have some free time to look around and again take out your camera phones to capture some of London's impressive skyline. The walk back down the other side does look rather steep but don't let that put you off. It's quite straight forward as long as you lean back and bend your knees. The second part of this experience was a 2 course meal at All Bar One inside the O2 arena. I found it to be a nice setting and the food was lovely. I chose a cheeseburger, which came with fries as well as the chocolate brownie. I would highly recommend this experience and the meal for me was a good finishing touch.